The South African Broadcasting Corporation (SABC) has been challenged to have more educational programmes that encourage people to adopt healthy lifestyles in order to reduce diseases. This has emerged during a panel discussion at the launch of the #WhatsInMyFood campaign organised by the Healthy Living Alliance in Johannesburg. We’re attending @heala_SA‘s #WhatsInMyFood media campaign, which aims to encourage South Africans to questions what is in the processed foods they eat. “How do we engage with SABC to transmit what is important for the public? That’s their first mandate. What’s the point of covering state capture for eight hours? Well it sells, it’s a media industrial complex, they are making millions by watching Agrizzi being racist and you say you can’t play a 30 minutes programme about healthy living. “We then need to engage with the public broadcaster and simply say we need not necessarily specifically fund the Department of Health to then start a channel you are here your mandate is to service the people ,” says Right2Know’s Thami Nkosi. 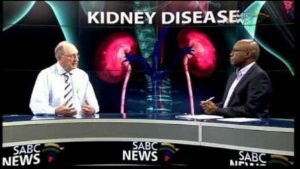 The post SABC urged to transmit healthy lifestyle programmes appeared first on SABC News – Breaking news, special reports, world, business, sport coverage of all South African current events. Africa's news leader..